Strong connections bridge even the widest distances – whether spatially or technically-speaking in the case of the Hermes standard. Strong connections bridge even the widest distances – whether spatially or technically-speaking in the case of the Hermes standard. By participating in this initiative, Rehm Thermal Systems is also contributing to making system networking within SMT manufacturing easier, quicker and more efficient in the future. Together with other manufacturers of SMD production equipment, Rehm has been working intensively on a digital interface for M2M communication within a production line in recent months. „Within The Hermes Standard Initiative, it quickly became clear that the reflow soldering system would be one of the sticking points in the way of a seamless digital interface,“ explains Markus Mittermair, Software Development Manager at Rehm Thermal Systems. The decisive factor in this respect is that in a soldering system, several assemblies are used at the same time. It is important to identify these clearly after the soldering process in order to reliably assign the manufactured assembly“s information. The barcode on the assembly, the Hermes Board ID number and the assembly data are communicated. These are Width, Length, Weight, Speed, FailedBoard (good/bad transfer), FlippedBoard (position of PCB), Thickness, TopClearanceHeight and BottomClearanceHeight. „As the first manufacturer of reflow soldering systems, Rehm already offers two different Hermes solutions for the VisionXP+. One has scanner on the outfeed conveyor, the other doesn“t. This will allow us to pave the way to networked manufacturing and smart factories for our customers today,“ says Michael Hanke, General Sales Manager at Rehm Thermal Systems. If there is no scanner on the outfeed conveyor, assemblies cannot be removed or inserted (reinserted). This is ensured by a cover on the outfeed conveyor, which prevents boards from being taken out or inserted. This guarantees that no data is lost or assigned to the wrong assembly. In the variant with a scanner on the outfeed conveyor, boards can be removed after the soldering process and reused. The data always remains assigned to the correct board. This allows for manual visual inspection of assemblies as well as sampling for quality assurance processes. Production space is an important topic in every manufacturing operation. A separate downstream outfeed conveyor would not be appropriate in many production lines. Therefore, the developers at Rehm Thermal Systems took a different approach to implement this successfully. They integrated a separate transport into the outfeed area after the cooling section, which only extends the overall length of the system by approx. 50 cm. „This structural change was necessary to reliably ensure separation of the assemblies and therefore, clear identification after the soldering process. This is the only way to ensure that every board within the soldering system is recognised and the data is correctly assigned,“ explains Markus Mittermair. The Hermes standard offers an overreaching protocol, irrespective of manufacturer, for machine-to-machine communication (M2M) in module manufacturing. The objective is to improve or simplify the board-flow-management, traceability and electrical wiring across all stations of an SMT line. Modern communication technology and standardised data formats for M2M communication (TCP/IP and XML-based protocol) are used for this purpose. The Hermes standard is officially recognised as a next-generation technology, and follows the IPC-SMEMA-9851 standard. In the long term, „The Hermes Standard“ is designed to replace the existing SMEMA interface. With IPC recognition, The Hermes Standard Initiative has reached an important milestone in the digitalisation of electronics manufacturing. User-friendliness, easy operation, planned maintenance and remote access from anywhere: Rehm Thermal Systems recently revealed how all this can be realised with intelligent solutions from Rehm at Nepcon South China, while presenting highlights from its product portfolio. Amongst other innovations, the new ViCON system software attracted considerable interest. The software is distinguished by an intuitive touchscreen user interface and makes it easier to operate VisionX systems. „We offer still more options for simple control, monitoring and analysis of production processes“, stresses Ralf Wagenführ, Product Manager at Rehm China. For instance, ViCON Connect as an additional tool enables cross-locational monitoring of all Rehm soldering system – while the ViCON app lets you view the operating status and alarms of the connected systems via smartphone at any time. With the Virtual Communication Interface -ViCI in short – Rehm provides a portal for maintenance support in modern electronics manufacturing. Specific elements involve support with the help of smart glasses, guided maintenance scenarios on tablet or smartphone, and a comprehensive and extendible knowledge database. The advantages are clear to see: Travel expenses are reduced, maintenance is carried out independently of global location, and response times are shortened. The 24th Nepcon South China in Shenzhen Convention and Exhibition Centre was the perfect venue for a total of 650 international companies and electronics manufacturing experts or consumers from home and abroad to showcase their new innovations. Thailand ist als zweitgrößte Volkswirtschaft in Südostasien ein stark aufstrebendes Industrieland und hat in den letzten Jahren ein rasantes Wachstum in der Elektronikindustrie erlebt. Mit den Veränderungen in der industriellen Struktur hat die Automobilindustrie massiv an Bedeutung gewonnen. Das große Marktpotenzial zieht Aufmerksamkeit auf sich: Mit der schnellen Entwicklung der Elektronikindustrie haben viele ausländische Unternehmen, die in der Elektronikfertigung tätig sind, ihren Fokus auf Thailand gelegt und dort viele Fabriken aufgebaut. Die Messe hat für Rehm günstige Rahmenbedingungen geschaffen, um wichtige Kontakte zu knüpfen und den Marktanteil weiter auszubauen. Einer der Schwerpunkte von Rehm lag auf der Präsentation des VisionX-Reflowlötsystems. Es gewährleistet sowohl Flexibilität als auch hohe Kapazität und erfüllt somit in idealer Weise die stetig wachsenden Kundenanforderungen. Dank des hocheffizienten Residuemanagement-systems können Gase und feinste Partikel, die beim Lötprozess anfallen, sicher und zuverlässig entfernt werden. Dadurch wird die Prozesskammer sauber und trocken gehalten – das vereinfacht erheblich die Wartung und verbessert signifikant die Effizienz. Rehm setzt dabei auf leistungsfähige und umweltfreundliche Rohstoffe sowie modernste Fertigungstechnologien und Produktionsprozesse. Das Unternehmen zielt darauf ab, die Ressourcen zu schonen und den Energieverbrauch zu reduzieren sowie eine nachhaltige Entwicklung durch ständige Innovation sicherzustellen. 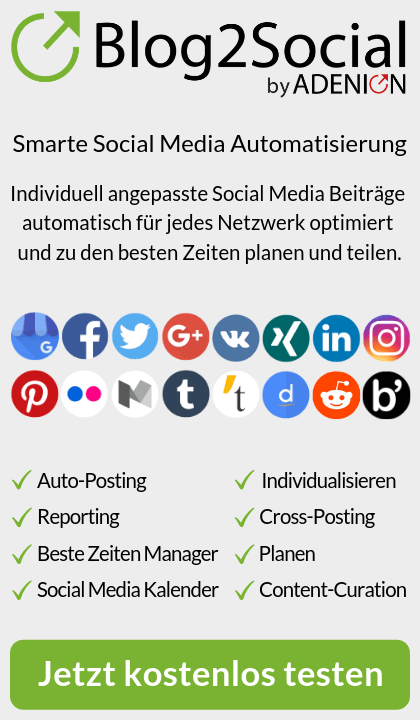 In Zukunft wird Rehm das große Potenzial des thailändischen Marktes weiter erschließen und legt als Systemanbieter neben einem umfassenden Produktangebot auch Wert auf ausgezeichneten Service vor Ort. This year, Rehm is showing the highlights from its product portfolio at the NEPCON trade fair in Bangkok. The strong economic growth of Asian countries brings with it an increasing demand from plenty of industries, including the automotive, consumer electronics, medical technology and automation sectors. The market for the electronics and semiconductor industry is developing at a brisk pace. It“s therefore a given that Rehm will be showing the highlights from its extensive product portfolio at the NEPCON trade fair in Bangkok this year. Those who are interested can come on site to learn more about the extensive range of services and numerous advantages that the solutions provide. After all, they set standards in terms of efficiency when it comes to producing electronic components. „As far as demonstrating Rehm“s thermal system solutions to an expert audience on site is concerned, NEPCON is the ideal trade fair“, says Johnson Ma, General Manager Rehm China. Highlights such as VisionXC with ViCON software will be on display. The compactness of the VisionXC, which brings together all important technological features in the smallest of space, is impressive. It also has ViCON software with new features and a modern user interface. For example, ViCON can log all values that are changed, or collect and statistically evaluate alarms to avoid errors and optimise machine settings. The new operating software recently received the VISION AWARD. An independent jury of renowned industry experts and readers of SMT China Surface Mount Technology selected Rehm’s products from the numerous submissions, since they point the way forward for the industry. As always, visitors to Rehm can also experience the latest plant technology, innovative software solutions and competent process consulting in a live setting. A stated goal of the technology and innovation leader is to serve customers quickly and offer excellent on-site service. With its own subsidiary in Thailand, Rehm is keeping this promise. In addition, in-house production in China makes for close customer proximity and guarantees that Asian customers are supplied in a quick and reliable manner. Nepcon Thailand will be held over four days from Wednesday, 20 June to Saturday, 23 June 2018 in Bangkok. Rehm will have its own booth in Hall 98, Stand 8B11. Having specialised in the field of thermal system solutions for the electronics and photovoltaics industry, Rehm is a technological and innovative leader in the state-of-the-art, cost-effective manufacturing of electronic assemblies. As a globally active manufacturer of reflow soldering systems with convection, condensation or vacuum, drying and coating systems, functional test systems, equipment for metallisation of solar cells as well as numerous customised systems, we are present in all key growth markets as a partner with more than 25 years of industry experience, allowing us to implement innovative production solutions that set new standards. Unter 911 strategischen Zulieferern ermittelte die Continental Automotive Group auf Basis einer umfassenden, systematischen Evaluation seine besten Partner weltweit. Rehm Thermal Systems überzeugte als einziger Lieferant für Fertigungsequipment im Bereich „Investment und Engineering (Soldering Machines)“ und ist eines von 15 Unternehmen, die kürzlich beim „Supplier Day“ in Regensburg für besondere Leistungen prämiert wurden. Rückblickend für das Jahr 2016 lag der Fokus speziell auf den erhöhten Anforderungen an Qualität und Zuverlässigkeit. Besonders lobenswert wurde die individuelle Kundenbetreuung von Rehm Thermal Systems hervorgehoben. Der schwäbische Maschinenbauer setzt auf direkte Ansprechpartner und richtet sein Produktportfolio stets an den Bedürfnissen seiner Kunden aus. In Kooperation mit Continental konnten so in der Vergangenheit bereits viele spezifische Sonderlösungen im Reflow-Bereich realisiert werden. Weiterhin spielt internationale Präsenz für beide Unternehmen eine zentrale Rolle. „Zu den weltweiten Top-Partnern von Continental zu zählen, macht uns sehr stolz und zeigt, dass wir den steigenden Qualitäts- und Technologieanforderungen in einer dynamischen Branche wie der Elektronikfertigung gerecht werden. Die Auszeichnung ist für uns eine besondere Ehre. Das entgegengebrachte Vertrauen, der Erfahrungsaustausch und die gegenseitige Inspiration zu zahlreichen gemeinsamen Projekten in unserer nunmehr knapp 25-jährigen Zusammenarbeit schätzen wir sehr“, freut sich Johannes Rehm, Geschäftsführer von Rehm Thermal Systems. Continental vergibt die Preise für die „Supplier of the Year“ seit 2008 jährlich an die herausragendsten Zulieferer im Automotive-Geschäft in den sechs Bereichen Elektronik, Elektromechanik, Metall, Kunststoff und Gummi, Investment- und Engineering-Dienstleitungen sowie divisionsspezifische Lösungen. Die ausgewählten Unternehmen werden dabei in den Kategorien Qualität, Technologie, Logistik, Kosten und Einkaufskonditionen bewertet. Apple hat vor Jahren begonnen seine MacBook Air Reihe mit SSD Festplatten auszustatten. Mittlerweile werden schon embedded SSDs verbaut. Das hat für Kunden Konsequenzen. Apple hat vor Jahren begonnen seine MacBook Air Produktreihe mit schnellen SSD Festplatten auszustatten. Aus Platzgründen wurden die verbauten Laufwerke immer schlanker und schmäler. Der verfügbare Platz wurde auch damit flächenmäßig immer geringer. Das stellte nahmhafte SSD Hersteller vor Herausforderungen. So kann man in einem MacBook Air schon in 2011 die heute verfügbare SSHD nicht verbauen, da sie einfach zu groß ist. Auch die schmale intel SSD 360 Serie passt nicht mehr in die 2012/2013 Baureihen. Mittlerweile werden schon embedded SSDs verbaut. Diese SSD wird als BGA Chip auf dem Notebook Mainboard verbaut. Man kann sie nicht einfach abstecken, abschrauben oder abheben, wie man es sonst von CPUs aus Mainboards kennt. Das hat für Kunden erhebliche Konsequenzen, denn ein Upgrade auf einen größeren Speicher kann man nicht durchführen. Ist die SSD beschädigt oder das Mainboard (logiboard) dann kann eine einfache Mac Datenrettung nicht mehr erfolgen. Mit einer speziellen Rework Station muß die SSD von dem Logiboard losgelöst werden. Die ACATO GmbH verwendet bereits solche Rework Stationen und hat auch diese BGA Reflow Systeme in seinem Vertriebsprogramm. Behördenkunden und andere ausländische Datenretter kaufen bei ACATO ihre Ausrüstung sowie Software, um erfolgreich Ihren Kunden helfen zu können. Im Forensikbereich werden diese Systeme ebenfalls verwendet, um eine Beweissicherung auch unter widrigen Umständen zu ermöglichen. Die speziellen Handlungsanweisungen helfen gezielt und schnell die Beweise zu extrahieren und auszuwerten. In machen Fällen müssen die IT Forensiker auch in einem funkgeschützten Zelt arbeiten, damit das Risiko einer Verfälschung von Beweisen verhindert wird. Elektronische Diebstahlsicherungen der Täter können unter Umständen auch per Fernauslöser Daten löschen. Die funkgeschützten Zelte der Firma EDEC Digital Forensics sind Teil des Distributionsprogramms der ACATO und werden weitestgehend von internationalen Sicherheitskräften weltweit eingesetzt. Dennoch müssen Kunden älterer MacBook Air Modelle sich keine Sorgen machen, denn mit der richtigen Ausrüstung und Vorgehensweise können häufig fast alle Daten aus den SSDs gerettet werden. Selbst die extrem kleinen M2 SSD Laufwerke werden im Datenrettungslabor in München gerettet. Wer seinen MacBook Pro aufrüsten möchte sollte sich idealerweise für eine SSD von Samsung, Kingston, goodRam oder intel entscheiden. Dennoch muss man weitestgehend achten, dass keine Verschlüsselung verwendet wird, da manche SSDs unter bestimmten Umständen dazu neigen nach kurzer Zeit auszufallen. Es gibt keinen 100% Schutz gegen Datenverlust, jedoch kann man mit wenigen Handgriffen das Risiko um 30% senken. 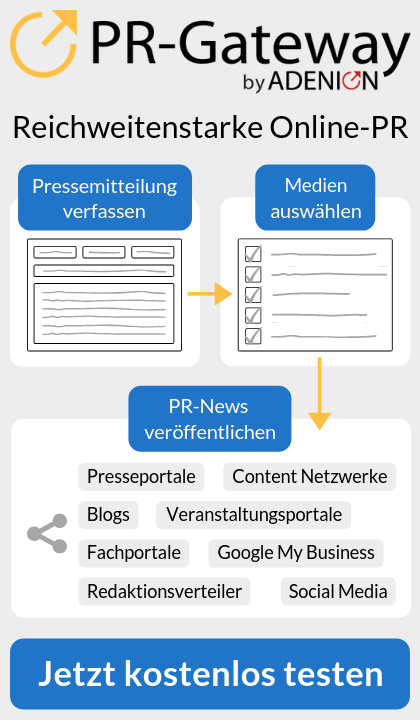 Wie schafft es die ACATO GmbH in ihrem Labor Mac Daten zu retten ? Ein MacBook Air der neuesten Generation muss komplett zerlegt werden. Anschliessend werden alle wichtigen Bauteile speziell mit einer Schutzschicht gegen Hitze überdeckt. Empfindliche Bauteile erhalten eine spezielle Behandlung bevor der eigentliche Arbeitsgang beginnt. Dann wird das große Bauteil auf eine RE 8500 Rework Station oder mit der Turbo IR speziell auf eine vorgegebene Temperatur gebracht. Danach wird der Chip mit Infrarot langsam und kontrolliert erwärmt und vom Mainboard gelöst. Danach wird der Chip gereinigt und in einem hierzu konstruierten Adapter eingesetzt. Daraufhin beginnt das Reengineering der Daten. Dies führt nach mehreren Arbeitsstunden zum gewünschten Ergebnis. Das macht die Datenrettung solcher ultradünner Geräte besonders aufwendig. Every electronics manufacturer wants stable production processes and precise monitoring of production parameters. In thermal processes such as soldering, drying or curing of electronic assemblies, reliable and reproducible temperature profiling is important for achieving high-quality results. Temperature monitoring in the challenging soldering process therefore has special significance. TiP300 is a new wireless temperature sensor technology developed by pro-micron and tuned to the specific requirements of condensation soldering with the CondensoX series from Rehm Thermal Systems (http://www.rehm-group.com). The technology was exhibited for the first time under the name WPS 2.4 (Wireless Profiling System) at the Rehm booth at this year’s SMT in Nuremberg. The WPS 2.4 is a temperature measurement system, a unique innovation worldwide, used for precise detection of the reflow profile in condensation soldering processes. The innovative temperature sensor technology makes it possible to check and to document at little or no expense the machine and process capability in thermal processes exactly and reliably, without affecting the ongoing production. The temperature sensor of the WPS 2.4 with firmly attached antenna is fixed to the carrier of the CondensoX soldering systems from Rehm. No power supply is necessary. As the name of the system suggests, no cables are needed to transmit the temperature from the sensor to the receiving antenna. This is done via a radio signal. Evaluation electronics deliver temperature readings live to the system control via a digital interface. In the recorder software, also newly developed by Rehm, the temperatures are plotted graphically in real time. The transmitting and receiving antennae were optimized by pro-micron for this application. The WPS 2.4 therefore guarantees continuous monitoring of soldering processes up to 300 °C and provides a new quality of temperature detection. The measuring system is available for the first time in the CondensoX series from Rehm Thermal Systems as an option for new installations and as a retrofit solution. „With the WPS 2.4 we put our clients in a position to meet the growing demands of complete traceability and of industry 4.0“, assures Michael Hanke, Chief Customer Officer of Rehm. In the future, the system will also be available for other processes such as convection soldering, annealing and drying. The company is once again participating in renowned international trade fairs and will present state-of-the-art plant and system technology in the areas of reflow soldering with convection and condensation, and circuit board coating in electronics manufacturing. Visit us at AMPER in Brünn, Czech Republic, from 24 to 27 March 2015. Our teams will be on hand to offer advice and look forward to seeing you! Technology is innovation, technology is our challenge, technology is our passion! This is what Rehm Thermal Systems (http://www.rehm-group.com) strives to communicate more clearly to the public – with a brand new website. In relaunching its website the leading manufacturer of reflow soldering systems, coating and drying systems is focussing on product-specific information, clear design and high functionality in applications. The website is currently available in German and English and is optimised for desktop, tablet or mobile devices. A Chinese version will be available soon. Customers increasingly rely on the Internet for research and have already made their decision before visiting a dealer. The networking of channels that link potential customers with brands and products is becoming more and more important. The new Rehm website design features a fresh and modern page layout and makes the website a key channel for information and communication within the sector. The entire Rehm product portfolio is clearly laid out, presenting process properties, specific system details, and new software tools. Defined colour-coding ensures optimal user guidance and elegantly ties information and functionality to design. Furthermore, customers have instant access to detailed information on current industry topics, seminar series, news and events, and the extensive range of testing and manufacturing equipment in the Rehm Technology Center (http://www.rehm-group.com) . Brochures and flyers are available to download in just one click in the new media center. With an expanded sales & service module with vCard function, it is considerably easier to make direct contact with relevant partners and Rehm’s online presence is even more attractive.